CERTIFIED PRE-OWNED 2015 Mercedes-Benz CLS 400 4MATIC - Lunar Blue Metallic exterior over a Porcelain Leather interior with Satin Light Brown Poplar Wood trim, Premium 2 Package (Adaptive Highbeam Assist, COMAND Navigation & Voice Control, Full-LED Headlamps w/Active Curve Illumination, Power Rear Window Sunshade, Heated & Ventilated Front Seats, Power Folding Mirrors, Electronic Trunk Closer, and KEYLESS-GO), Lane Tracking Package (Blind Spot Assist and Lane Keeping Assist), Active Multicontour Driver Seat, Comfort Box, harman/kardon Logic 7 Surround Sound System, Rear-View Camera, Split Folding Rear Seats, 18" 5-Twin-Spoke Wheels, and Wood/Leather Steering Wheel. One owner, clean CarFax report, Original MSRP $79,170. Mercedes-Benz Certified Pre-Owned Details: * Vehicle History * Roadside Assistance * 164 Point Inspection * Includes Trip Interruption Reimbursement and 7 days/500 miles Exchange Privilege * Warranty Deductible: $0 * Transferable Warranty * Limited Warranty: 12 Month/Unlimited Mile beginning after new car warranty expires or from certified purchase dateCERTIFIED PRE-OWNED 2015 Mercedes-Benz CLS 400 4MATIC - Lunar Blue Metallic exterior over a Porcelain Leather interior with Satin Light Brown Poplar Wood trim, Premium 2 Package (Adaptive Highbeam Assist, COMAND Navigation & Voice Control, Full-LED Headlamps w/Active Curve Illumination, Power Rear Window Sunshade, Heated & Ventilated Front Seats, Power Folding Mirrors, Electronic Trunk Closer, and KEYLESS-GO), Lane Tracking Package (Blind Spot Assist and Lane Keeping Assist), Active Multicontour Driver Seat, Comfort Box, harman/kardon Logic 7 Surround Sound System, Rear-View Camera, Split Folding Rear Seats, 18" 5-Twin-Spoke Wheels, and Wood/Leather Steering Wheel. One owner, clean CarFax report, Original MSRP $79,170. 2015 Mercedes-Benz C 350 Coupe 4MATIC - Polar White exterior over a Black interior with Burl Walnut Wood trim, Multimedia Package (COMAND System w/Hard-Drive Navigation, In-Dash 6-Disc DVD/CD Changer, Rear-View Camera, and Voice Control), 18" AMG® 7-Spoke Alloy Wheels, Blind Spot Assist, harman/kardon® Logic 7® Surround Sound System, Heated front seats, Panorama moonroof, SIRIUS Satellite Radio, and Rear Spoiler. One owner, clean CarFax report, Original MSRP $51,335.2015 Mercedes-Benz C 350 Coupe 4MATIC - Polar White exterior over a Black interior with Burl Walnut Wood trim, Multimedia Package (COMAND System w/Hard-Drive Navigation, In-Dash 6-Disc DVD/CD Changer, Rear-View Camera, and Voice Control), 18" AMG® 7-Spoke Alloy Wheels, Blind Spot Assist, harman/kardon® Logic 7® Surround Sound System, Heated front seats, Panorama moonroof, SIRIUS Satellite Radio, and Rear Spoiler. One owner, clean CarFax report, Original MSRP $51,335. 2015 Mercedes-Benz C 350 4MATIC - Black exterior over a Red Leather interior with Burl Walnut Wood trim, Multimedia Package (COMAND System w/Hard-Drive Navigation, In-Dash 6-Disc DVD/CD Changer, Rear-View Camera, and Voice Control), Full Leather Seating Package (Leather Upholstery and Power/Memory Front Passenger Seat), and 18" 5-Spoke Wheels. One owner, clean CarFax report, Original MSRP $52,535.2015 Mercedes-Benz C 350 4MATIC - Black exterior over a Red Leather interior with Burl Walnut Wood trim, Multimedia Package (COMAND System w/Hard-Drive Navigation, In-Dash 6-Disc DVD/CD Changer, Rear-View Camera, and Voice Control), Full Leather Seating Package (Leather Upholstery and Power/Memory Front Passenger Seat), and 18" 5-Spoke Wheels. One owner, clean CarFax report, Original MSRP $52,535. CERTIFIED PRE-OWNED 2016 Mercedes-Benz GLE 350 4MATIC - Dakota Brown Metallic exterior over a Ginger Beige interior with Brown Eucalyptus Wood trim, Premium Package (115V AC Power Outlet, KEYLESS-GO, COMAND System w/Navigation, Single DVD Player, and SIRIUS XM Satellite Radio), Convenience Package (Heated & Cooled Cup Holders, Manual 2nd Row Sunshades, and Rear-Seat Center-Armrest Pass-Through), Lighting Package (Adaptive Highbeam Assist and LED Dynamic Headlamps), Lane Tracking Package (Blind Spot Assist and Lane Keeping Assist), Parking Assist Package (PARKTRONIC w/Active Parking Assist and Surround View Camera System), Air Ionization w/Air Filter, Ambient Lighting, Brushed Aluminum Running Boards, harman/kardon Logic 7 Surround Sound System, Heated Steering Wheel, Illuminated Star, Pre-Wiring for Rear Seat Entertainment, Trailer Hitch, and 20" 5-Spoke Wheels. One owner, clean CarFax report, Original MSRP $66,750. Mercedes-Benz Certified Pre-Owned Details: * 164 Point Inspection * Vehicle History * Roadside Assistance * Includes Trip Interruption Reimbursement and 7 days/500 miles Exchange Privilege * Transferable Warranty * Limited Warranty: 12 Month/Unlimited Mile beginning after new car warranty expires or from certified purchase date * Warranty Deductible: $0CERTIFIED PRE-OWNED 2016 Mercedes-Benz GLE 350 4MATIC - Dakota Brown Metallic exterior over a Ginger Beige interior with Brown Eucalyptus Wood trim, Premium Package (115V AC Power Outlet, KEYLESS-GO, COMAND System w/Navigation, Single DVD Player, and SIRIUS XM Satellite Radio), Convenience Package (Heated & Cooled Cup Holders, Manual 2nd Row Sunshades, and Rear-Seat Center-Armrest Pass-Through), Lighting Package (Adaptive Highbeam Assist and LED Dynamic Headlamps), Lane Tracking Package (Blind Spot Assist and Lane Keeping Assist), Parking Assist Package (PARKTRONIC w/Active Parking Assist and Surround View Camera System), Air Ionization w/Air Filter, Ambient Lighting, Brushed Aluminum Running Boards, harman/kardon Logic 7 Surround Sound System, Heated Steering Wheel, Illuminated Star, Pre-Wiring for Rear Seat Entertainment, Trailer Hitch, and 20" 5-Spoke Wheels. One owner, clean CarFax report, Original MSRP $66,750. CERTIFIED PRE-OWNED 2016 Mercedes-Benz C 450 AMG 4MATIC - Iridium Silver Metallic exterior over a designo Platinum White/Black Nappa Leather interior with Carbon Fiber trim, Exterior Carbon Fiber Package (Carbon Fiber Mirror Covers and Carbon Fiber Rear Spoiler), designo Platinum White/Black Package (Illuminated Door Sills, Heated Front Seats, and Ambient Lighting), Lighting Package (Adaptive Highbeam Assist and Dynamic LED Headlamps), Multimedia Package (COMAND Navigation & Voice Control and Rear-View Camera), Hands-Free Access Package (Electronic Trunk Closer and Hands-Free Trunk Access), Driver Assistance Package (Active Blind Spot Assist, Active Lane Keeping Assist, Badging on Dashboard, BAS PLUS w/Cross Traffic Assist, DISTRONIC PLUS w/Steering Assist, PRE-SAFE Brake, PRE-SAFE PLUS, and PRE-SAFE PLUS Rear-End Collision Protection), 18" AMG® 5-Spoke Alloy Wheels, and Panorama Sunroof. One owner, clean CarFax report, Original MSRP $66,785. Mercedes-Benz Certified Pre-Owned Details: * Vehicle History * Transferable Warranty * Limited Warranty: 12 Month/Unlimited Mile beginning after new car warranty expires or from certified purchase date * Roadside Assistance * 165 Point Inspection * Includes Trip Interruption Reimbursement and 7 days/500 miles Exchange Privilege * Warranty Deductible: $0CERTIFIED PRE-OWNED 2016 Mercedes-Benz C 450 AMG 4MATIC - Iridium Silver Metallic exterior over a designo Platinum White/Black Nappa Leather interior with Carbon Fiber trim, Exterior Carbon Fiber Package (Carbon Fiber Mirror Covers and Carbon Fiber Rear Spoiler), designo Platinum White/Black Package (Illuminated Door Sills, Heated Front Seats, and Ambient Lighting), Lighting Package (Adaptive Highbeam Assist and Dynamic LED Headlamps), Multimedia Package (COMAND Navigation & Voice Control and Rear-View Camera), Hands-Free Access Package (Electronic Trunk Closer and Hands-Free Trunk Access), Driver Assistance Package (Active Blind Spot Assist, Active Lane Keeping Assist, Badging on Dashboard, BAS PLUS w/Cross Traffic Assist, DISTRONIC PLUS w/Steering Assist, PRE-SAFE Brake, PRE-SAFE PLUS, and PRE-SAFE PLUS Rear-End Collision Protection), 18" AMG® 5-Spoke Alloy Wheels, and Panorama Sunroof. One owner, clean CarFax report, Original MSRP $66,785. CERTIFIED PRE-OWNED 2016 Mercedes-Benz CLS 400 - Black exterior over a Saddle Brown Leather interior with Black Ash Wood Trim, Premium 2 Package (COMAND Navigation & Voice Control, harman/kardon Logic 7 Surround Sound System, Adaptive Highbeam Assist, Full-LED Headlamps w/Active Curve Illumination, Heated & Active Ventilated Front Seats, Electronic Trunk Closer, KEYLESS-GO, and Power Rear Window Sunshade), Wheel Package (3-Spoke AMG Sport Steering Wheel, Manual Mode for Transmission, and Sport Suspension), Driver Assistance Package (Active Blind Spot Assist, Active Lane Keeping Assist, BAS PLUS w/Cross Traffic Assist, CMS Lane, CMS Rear, DISTRONIC PLUS w/Steering Assist, DISTRONIC PLUS, PRE-SAFE Brake, and PRE-SAFE PLUS), 18" AMG® 5-Spoke Wheels, Active Multicontour Driver Seat, Air Suspension, Rear Trunklid Spoiler, Split Folding Rear Seats, and Wood/Leather Steering Wheel. Clean CarFax report, Original MSRP $82,215. Mercedes-Benz Certified Pre-Owned Details: * Warranty Deductible: $0 * Roadside Assistance * Transferable Warranty * 165 Point Inspection * Vehicle History * Includes Trip Interruption Reimbursement and 7 days/500 miles Exchange Privilege * Limited Warranty: 12 Month/Unlimited Mile beginning after new car warranty expires or from certified purchase dateCERTIFIED PRE-OWNED 2016 Mercedes-Benz CLS 400 - Black exterior over a Saddle Brown Leather interior with Black Ash Wood Trim, Premium 2 Package (COMAND Navigation & Voice Control, harman/kardon Logic 7 Surround Sound System, Adaptive Highbeam Assist, Full-LED Headlamps w/Active Curve Illumination, Heated & Active Ventilated Front Seats, Electronic Trunk Closer, KEYLESS-GO, and Power Rear Window Sunshade), Wheel Package (3-Spoke AMG Sport Steering Wheel, Manual Mode for Transmission, and Sport Suspension), Driver Assistance Package (Active Blind Spot Assist, Active Lane Keeping Assist, BAS PLUS w/Cross Traffic Assist, CMS Lane, CMS Rear, DISTRONIC PLUS w/Steering Assist, DISTRONIC PLUS, PRE-SAFE Brake, and PRE-SAFE PLUS), 18" AMG® 5-Spoke Wheels, Active Multicontour Driver Seat, Air Suspension, Rear Trunklid Spoiler, Split Folding Rear Seats, and Wood/Leather Steering Wheel. Clean CarFax report, Original MSRP $82,215. CERTIFIED PRE-OWNED 2016 Mercedes-Benz E 350 4MATIC - Iridium Silver Metallic exterior over a Grey interior with Black Ash Wood trim, Premium Package (COMAND Navigation, harman/kardon Logic 7 Surround Sound System, Heated Front Seats, Mirror Package, Power Folding Mirrors, Rear Side Window Sunshades, Rearview Camera, and SIRIUS Satellite Radio), Sport Package (Sport-Tuned Suspension, Radiator Grille w/Central Star, and Sport Bodystyling), KEYLESS GO Package (Hands-Free Access, KEYLESS-GO), Lane Tracking Package (Blind Spot Assist and Lane Keeping Assist), 18" AMG® Twin 5-Spoke Alloy Wheels, Flat Bottom 3-Spoke Sport Steering Wheel, Power Tilt/Sliding Panorama Sunroof, and Rear Side Airbags. One owner, clean CarFax report, Original MSRP $69,310. Mercedes-Benz Certified Pre-Owned Details: * Warranty Deductible: $0 * Roadside Assistance * Transferable Warranty * Limited Warranty: 12 Month/Unlimited Mile beginning after new car warranty expires or from certified purchase date * 165 Point Inspection * Vehicle History * Includes Trip Interruption Reimbursement and 7 days/500 miles Exchange PrivilegeCERTIFIED PRE-OWNED 2016 Mercedes-Benz E 350 4MATIC - Iridium Silver Metallic exterior over a Grey interior with Black Ash Wood trim, Premium Package (COMAND Navigation, harman/kardon Logic 7 Surround Sound System, Heated Front Seats, Mirror Package, Power Folding Mirrors, Rear Side Window Sunshades, Rearview Camera, and SIRIUS Satellite Radio), Sport Package (Sport-Tuned Suspension, Radiator Grille w/Central Star, and Sport Bodystyling), KEYLESS GO Package (Hands-Free Access, KEYLESS-GO), Lane Tracking Package (Blind Spot Assist and Lane Keeping Assist), 18" AMG® Twin 5-Spoke Alloy Wheels, Flat Bottom 3-Spoke Sport Steering Wheel, Power Tilt/Sliding Panorama Sunroof, and Rear Side Airbags. One owner, clean CarFax report, Original MSRP $69,310. CERTIFIED PRE-OWNED 2017 Mercedes-Benz GLS 450 4MATIC - Black exterior over a Black Leather interior with Black Piano Lacquer Trim, Premium Package (Smartphone Integration, Apple CarPlay, COMAND navigation, SiriusXM Radio, Multi-color ambient lighting w/ Illuminated door sills, and KEYLESS-GO), Lighting Package (Adaptive Highbeam Assist and Active Curve Illumination Full LED), Appearance Package (20" Twin 5-Spoke Alloy Wheels and Illuminated Running Boards), OFF-Road Package (ON&OFFROAD Package and Underride Protection), Active Curve System (Adaptive Damping System and ACTIVE CURVE SYSTEM), 3-Zone Automatic Climate Control (Three-Zone Automatic Climate Control and Rear A/C), Lane Tracking Package (Blind Spot Assist and Lane Keeping Assist), Parking Assist Package (PARKTRONIC with Active Parking Assist and Surround View Camera), Extended Mobility Tires, and Panorama Sunroof. One owner, clean CarFax report, Original MSRP $88,750. Mercedes-Benz Certified Pre-Owned Details: * Warranty Deductible: $0 * Transferable Warranty * Roadside Assistance * Limited Warranty: 12 Month/Unlimited Mile beginning after new car warranty expires or from certified purchase date * Vehicle History * Includes Trip Interruption Reimbursement and 7 days/500 miles Exchange Privilege * 165 Point InspectionCERTIFIED PRE-OWNED 2017 Mercedes-Benz GLS 450 4MATIC - Black exterior over a Black Leather interior with Black Piano Lacquer Trim, Premium Package (Smartphone Integration, Apple CarPlay, COMAND navigation, SiriusXM Radio, Multi-color ambient lighting w/ Illuminated door sills, and KEYLESS-GO), Lighting Package (Adaptive Highbeam Assist and Active Curve Illumination Full LED), Appearance Package (20" Twin 5-Spoke Alloy Wheels and Illuminated Running Boards), OFF-Road Package (ON&OFFROAD Package and Underride Protection), Active Curve System (Adaptive Damping System and ACTIVE CURVE SYSTEM), 3-Zone Automatic Climate Control (Three-Zone Automatic Climate Control and Rear A/C), Lane Tracking Package (Blind Spot Assist and Lane Keeping Assist), Parking Assist Package (PARKTRONIC with Active Parking Assist and Surround View Camera), Extended Mobility Tires, and Panorama Sunroof. One owner, clean CarFax report, Original MSRP $88,750. CERTIFIED PRE-OWNED 2017 Mercedes-Benz GLC 300 4MATIC - designo Cardinal Red Metallic exterior over a Silk Beige interior with Dark Brown Linden Wood Trim, Premium 2 Package (Illuminated Door Sill Panels, 115V AC Power Outlet, Blind Spot Assist, Storage Package, Touchpad, COMAND w/Navigation and Voice Control, SiriusXM Satellite Radio, Entrance Lamps in Doors, DVD/CD Single, Ambient Lighting, and KEYLESS-GO), Advanced Parking Assistance Package (HANDS-FREE Comfort Package, PARKTRONIC with Active Parking Assist, Surround View System, and HANDS-FREE ACCESS), Wheel Locking Bolts, Tilt/Sliding Panorama Roof, Heated Steering Wheel, 19" 5-Spoke Wheels, LED Headlamps, Burmester Surround Sound System, and Heated Front Seats. One owner, clean CarFax report, Original MSRP $52,955. Mercedes-Benz Certified Pre-Owned Details: * Warranty Deductible: $0 * Transferable Warranty * Roadside Assistance * Limited Warranty: 12 Month/Unlimited Mile beginning after new car warranty expires or from certified purchase date * Vehicle History * Includes Trip Interruption Reimbursement and 7 days/500 miles Exchange Privilege * 165 Point InspectionCERTIFIED PRE-OWNED 2017 Mercedes-Benz GLC 300 4MATIC - designo Cardinal Red Metallic exterior over a Silk Beige interior with Dark Brown Linden Wood Trim, Premium 2 Package (Illuminated Door Sill Panels, 115V AC Power Outlet, Blind Spot Assist, Storage Package, Touchpad, COMAND w/Navigation and Voice Control, SiriusXM Satellite Radio, Entrance Lamps in Doors, DVD/CD Single, Ambient Lighting, and KEYLESS-GO), Advanced Parking Assistance Package (HANDS-FREE Comfort Package, PARKTRONIC with Active Parking Assist, Surround View System, and HANDS-FREE ACCESS), Wheel Locking Bolts, Tilt/Sliding Panorama Roof, Heated Steering Wheel, 19" 5-Spoke Wheels, LED Headlamps, Burmester Surround Sound System, and Heated Front Seats. One owner, clean CarFax report, Original MSRP $52,955. CERTIFIED PRE-OWNED 2018 Mercedes-Benz GLC 300 4MATIC - Polar White exterior over a Black interior with Natural Grain Black Ash Wood trim, Premium Package (115V AC Power Outlet, Blind Spot Assist, Sirius XM Radio, and KEYLESS-GO), Smartphone Integration Package (Android Auto and Apple CarPlay), 18" 5-Spoke Wheels, Rear Chrome Trim, Panorama Roof, Heated Steering Wheel, Rear Seat Entertainment & Comfort Adapter, and Heated Front Seats. One owner, clean CarFax report, Original MSRP $47,445. Mercedes-Benz Certified Pre-Owned Details: * Warranty Deductible: $0 * Transferable Warranty * Roadside Assistance * Limited Warranty: 12 Month/Unlimited Mile beginning after new car warranty expires or from certified purchase date * Vehicle History * Includes Trip Interruption Reimbursement and 7 days/500 miles Exchange Privilege * 165 Point InspectionCERTIFIED PRE-OWNED 2018 Mercedes-Benz GLC 300 4MATIC - Polar White exterior over a Black interior with Natural Grain Black Ash Wood trim, Premium Package (115V AC Power Outlet, Blind Spot Assist, Sirius XM Radio, and KEYLESS-GO), Smartphone Integration Package (Android Auto and Apple CarPlay), 18" 5-Spoke Wheels, Rear Chrome Trim, Panorama Roof, Heated Steering Wheel, Rear Seat Entertainment & Comfort Adapter, and Heated Front Seats. One owner, clean CarFax report, Original MSRP $47,445. CERTIFIED PRE-OWNED 2017 Mercedes-Benz E 300 4MATIC - Polar White exterior over a Black interior with Burl Walnut Wood Trim, Premium 1 Package (Rearview Camera, Blind Spot Assist, Parking Pilot, SIRIUS XM Satelite Radio, Hands-Free Access, Heated Front Seats, Electronic Trunk Closer, KEYLESS-GO, and NFC Wireless Charging), Luxury Package (Luxury Interior, Luxury Exterior, and Comfort suspension for Luxury), 3-spoke Multifunction Steering Wheel, 18" Twin 5-Spoke Wheels, MB-Tex Upper Dash and Door Trim, Steering Wheel Shift Paddles, Heated Steering Wheel, and Burmester Surround Sound System. One owner, clean CarFax report, Original MSRP $60,275. Mercedes-Benz Certified Pre-Owned Details: * Warranty Deductible: $0 * Transferable Warranty * Roadside Assistance * Limited Warranty: 12 Month/Unlimited Mile beginning after new car warranty expires or from certified purchase date * Vehicle History * Includes Trip Interruption Reimbursement and 7 days/500 miles Exchange Privilege * 165 Point InspectionCERTIFIED PRE-OWNED 2017 Mercedes-Benz E 300 4MATIC - Polar White exterior over a Black interior with Burl Walnut Wood Trim, Premium 1 Package (Rearview Camera, Blind Spot Assist, Parking Pilot, SIRIUS XM Satelite Radio, Hands-Free Access, Heated Front Seats, Electronic Trunk Closer, KEYLESS-GO, and NFC Wireless Charging), Luxury Package (Luxury Interior, Luxury Exterior, and Comfort suspension for Luxury), 3-spoke Multifunction Steering Wheel, 18" Twin 5-Spoke Wheels, MB-Tex Upper Dash and Door Trim, Steering Wheel Shift Paddles, Heated Steering Wheel, and Burmester Surround Sound System. One owner, clean CarFax report, Original MSRP $60,275. and DVD CD Single Player), Night Package (High gloss black front splitter and rear diffuser), Classic Red Seat Belts, Rearview Camera, Blind Spot Assist, Rear Side Airbags, Panorama Sunroof, Head-Up Display, 18" Black AMG® 5-Spoke Wheel, and Heated Front Seats. One owner, clean CarFax report, Original MSRP $61,605. 2018 Mercedes-Benz E 400 4MATIC® Coupe - designo® Diamond White Metallic exterior over a Saddle Brown Leather interior with Natural Grain Black Ash Trim, Premium 2 Package (Air Balance Package, Lighting Package, Blind Spot Assist, Active Parking Assist, 12.3" Widescreen Instrument Cluster, SiriusXM Radio, Power Rear Sunshade, Adaptive Highbeam Assist, LED Intelligent Light System, HANDS-FREE ACCESS, Electronic Trunk Closer, KEYLESS-GO, and Inductive Wireless Phone Charging w/ NFC Pairing), AMG Line (AMG Body Styling, Aluminum Sport Pedals w/ Rubber Studs, AMG Line Interior Package, and AMG Line Exterior Package), Multifunction Sport Steering Wheel, 19" AMG® Twin 5-Spoke Wheels, Chrome Door Handle Inserts, Rear Deck Spoiler, Heated and Ventilated Front Seats, Lowered Suspension with Selective Damping, and Burmester Surround Sound System. One owner, clean CarFax report, Original MSRP $74,560.2018 Mercedes-Benz E 400 4MATIC® Coupe - designo® Diamond White Metallic exterior over a Saddle Brown Leather interior with Natural Grain Black Ash Trim, Premium 2 Package (Air Balance Package, Lighting Package, Blind Spot Assist, Active Parking Assist, 12.3" Widescreen Instrument Cluster, SiriusXM Radio, Power Rear Sunshade, Adaptive Highbeam Assist, LED Intelligent Light System, HANDS-FREE ACCESS, Electronic Trunk Closer, KEYLESS-GO, and Inductive Wireless Phone Charging w/ NFC Pairing), AMG Line (AMG Body Styling, Aluminum Sport Pedals w/ Rubber Studs, AMG Line Interior Package, and AMG Line Exterior Package), Multifunction Sport Steering Wheel, 19" AMG® Twin 5-Spoke Wheels, Chrome Door Handle Inserts, Rear Deck Spoiler, Heated and Ventilated Front Seats, Lowered Suspension with Selective Damping, and Burmester Surround Sound System. One owner, clean CarFax report, Original MSRP $74,560. CERTIFIED PRE-OWNED 2017 Mercedes-Benz E 300 4MATIC - Lunar Blue Metallic exterior over a Macchiato Beige interior with Burl Walnut Wood Trim, Premium 1 Package (Keyless Go Comfort Pack, Hands-Free Access, Electronic Trunk Closer, KEYLESS-GO, Rearview Camera, Blind Spot Assist, Parking Pilot, SIRIUS XM Satelite Radio, Heated Front Seats, and NFC Wireless Charging), Sport Package II (Sport Interior, AMG Exterior Sport Package, and AMG Body Cladding), 3-spoke Multifunction Steering Wheel, 18" AMG® 5-Spoke Wheels, Power Tilt / Sliding Panorama Sunroof, Sport-tuned suspension for Sport, and Burmester Surround Sound System. One owner, clean CarFax report, Original MSRP $61,985. Mercedes-Benz Certified Pre-Owned Details: * Warranty Deductible: $0 * Transferable Warranty * Roadside Assistance * Limited Warranty: 12 Month/Unlimited Mile beginning after new car warranty expires or from certified purchase date * Vehicle History * Includes Trip Interruption Reimbursement and 7 days/500 miles Exchange Privilege * 165 Point InspectionCERTIFIED PRE-OWNED 2017 Mercedes-Benz E 300 4MATIC - Lunar Blue Metallic exterior over a Macchiato Beige interior with Burl Walnut Wood Trim, Premium 1 Package (Keyless Go Comfort Pack, Hands-Free Access, Electronic Trunk Closer, KEYLESS-GO, Rearview Camera, Blind Spot Assist, Parking Pilot, SIRIUS XM Satelite Radio, Heated Front Seats, and NFC Wireless Charging), Sport Package II (Sport Interior, AMG Exterior Sport Package, and AMG Body Cladding), 3-spoke Multifunction Steering Wheel, 18" AMG® 5-Spoke Wheels, Power Tilt / Sliding Panorama Sunroof, Sport-tuned suspension for Sport, and Burmester Surround Sound System. One owner, clean CarFax report, Original MSRP $61,985. CERTIFIED PRE-OWNED 2018 Mercedes-Benz E 300 4MATIC® - Polar White exterior over a Macchiato Beige interior with Burl Walnut Wood Trim and Center Console in Black Piano Lacquer, Premium 2 Pkg w/o 12.3" Digital Instrument Cluster (Keyless Go Comfort Pack, Hands-Free Access, Electric Trunk Closer, KEYLESS-GO, AIR BALANCE Package, Lighting Package, Adaptive Highbeam Assist, LED Intelligent Light System, Parking Package, Blind Spot Assist, Active Parking Assist, SiriusXM, Power Rear-Window Sunshade, and Inductive Wireless Charging w/ NFC Pairing), AMG Line Exterior (AMG Body Styling, Mercedes-Benz Star in Grill, Sport Interior, Sport Exterior, Perforated front brake discs & front brake calipers, and AMG Body Cladding), Warmth and Comfort Package (Heated Door Panels & Center Console, Steering Wheel Shift Paddles, Heated Steering Wheel, Rapid Heating Front Seats, and Front Heated Armrest), 19" AMG® Twin 5-Spoke Wheels, 115V AC Power Outlet, Wheel Locks, Rear Spoiler, Comfort Box, Rearview Camera, Panorama Sunroof, Lowered Suspension w/ Selective Damping, Burmester Surround Sound System, and Rear Seat Entertainment and Comfort Adapter. One owner, Original MSRP $66,630. Mercedes-Benz Certified Pre-Owned Details: * Warranty Deductible: $0 * Transferable Warranty * Roadside Assistance * Limited Warranty: 12 Month/Unlimited Mile beginning after new car warranty expires or from certified purchase date * Vehicle History * Includes Trip Interruption Reimbursement and 7 days/500 miles Exchange Privilege * 165 Point InspectionCERTIFIED PRE-OWNED 2018 Mercedes-Benz E 300 4MATIC® - Polar White exterior over a Macchiato Beige interior with Burl Walnut Wood Trim and Center Console in Black Piano Lacquer, Premium 2 Pkg w/o 12.3" Digital Instrument Cluster (Keyless Go Comfort Pack, Hands-Free Access, Electric Trunk Closer, KEYLESS-GO, AIR BALANCE Package, Lighting Package, Adaptive Highbeam Assist, LED Intelligent Light System, Parking Package, Blind Spot Assist, Active Parking Assist, SiriusXM, Power Rear-Window Sunshade, and Inductive Wireless Charging w/ NFC Pairing), AMG Line Exterior (AMG Body Styling, Mercedes-Benz Star in Grill, Sport Interior, Sport Exterior, Perforated front brake discs & front brake calipers, and AMG Body Cladding), Warmth and Comfort Package (Heated Door Panels & Center Console, Steering Wheel Shift Paddles, Heated Steering Wheel, Rapid Heating Front Seats, and Front Heated Armrest), 19" AMG® Twin 5-Spoke Wheels, 115V AC Power Outlet, Wheel Locks, Rear Spoiler, Comfort Box, Rearview Camera, Panorama Sunroof, Lowered Suspension w/ Selective Damping, Burmester Surround Sound System, and Rear Seat Entertainment and Comfort Adapter. One owner, Original MSRP $66,630. CERTIFIED PRE-OWNED 2017 Mercedes-Benz GLE 350 4MATIC - Brilliant Blue Metallic exterior over a Ginger Beige interior with Natural Grain Brown Ash, Premium 1 Package (COMAND w/Navigation, 115V AC Power Outlet, Smartphone Integration, Apple CarPlay, Android Auto, Lane Tracking package, Blind Spot Assist, Lane Keeping Assist, SiriusXM Radio, Single DVD Player, and KEYLESS-GO), Rearview Camera, Power Tilt/Sliding Panorama Roof, Heated Steering Wheel, Trailer Hitch, 19" Twin 5-Spoke Wheels, harman/kardon® Logic 7® Surround Sound System, and Brushed Aluminum Running Boards. One owner, clean CarFax report, Original MSRP $62,790. Mercedes-Benz Certified Pre-Owned Details: * Warranty Deductible: $0 * Transferable Warranty * Roadside Assistance * Limited Warranty: 12 Month/Unlimited Mile beginning after new car warranty expires or from certified purchase date * Vehicle History * Includes Trip Interruption Reimbursement and 7 days/500 miles Exchange Privilege * 165 Point InspectionCERTIFIED PRE-OWNED 2017 Mercedes-Benz GLE 350 4MATIC - Brilliant Blue Metallic exterior over a Ginger Beige interior with Natural Grain Brown Ash, Premium 1 Package (COMAND w/Navigation, 115V AC Power Outlet, Smartphone Integration, Apple CarPlay, Android Auto, Lane Tracking package, Blind Spot Assist, Lane Keeping Assist, SiriusXM Radio, Single DVD Player, and KEYLESS-GO), Rearview Camera, Power Tilt/Sliding Panorama Roof, Heated Steering Wheel, Trailer Hitch, 19" Twin 5-Spoke Wheels, harman/kardon® Logic 7® Surround Sound System, and Brushed Aluminum Running Boards. One owner, clean CarFax report, Original MSRP $62,790. CERTIFIED PRE-OWNED 2017 Mercedes-Benz GLS 550 4MATIC® - Black exterior over a Saddle Brown Leather with Anthracite Poplar Wood, Driver Assistance Package (DISTRONIC PLUS® 3.0 with Steering Assist, Active Blind Spot Assist, Active Lane Keeping Assist, CMS Rear, DISTRONIC PLUS® with Steering Assist, BAS® PLUS w/Cross Traffic Assist, BAS®, PRESAFE® Plus, CMS, and Speed Limit Assist), Wheel Locking Bolts, Heated/Cooled Front Cupholders, Panorama Sunroof, Heated Steering Wheel, Trailer Hitch, Power EASY-ENTRY, 21-Inch Light Alloy Wheels, Pre-Wiring for Rear Seat Entertainment, and Heated Rear Seats. One owner, clean CarFax report, Original MSRP $99,745. Mercedes-Benz Certified Pre-Owned Details: * Warranty Deductible: $0 * Transferable Warranty * Roadside Assistance * Limited Warranty: 12 Month/Unlimited Mile beginning after new car warranty expires or from certified purchase date * Vehicle History * Includes Trip Interruption Reimbursement and 7 days/500 miles Exchange Privilege * 165 Point InspectionCERTIFIED PRE-OWNED 2017 Mercedes-Benz GLS 550 4MATIC® - Black exterior over a Saddle Brown Leather with Anthracite Poplar Wood, Driver Assistance Package (DISTRONIC PLUS® 3.0 with Steering Assist, Active Blind Spot Assist, Active Lane Keeping Assist, CMS Rear, DISTRONIC PLUS® with Steering Assist, BAS® PLUS w/Cross Traffic Assist, BAS®, PRESAFE® Plus, CMS, and Speed Limit Assist), Wheel Locking Bolts, Heated/Cooled Front Cupholders, Panorama Sunroof, Heated Steering Wheel, Trailer Hitch, Power EASY-ENTRY, 21-Inch Light Alloy Wheels, Pre-Wiring for Rear Seat Entertainment, and Heated Rear Seats. One owner, clean CarFax report, Original MSRP $99,745. CERTIFIED PRE-OWNED 2018 Mercedes-Benz GLS 450 4MATIC® - Black exterior over an Espresso Brown with Natural Grain Brown Ash Wood, Premium Package (Smartphone Integration, Apple CarPlay, Android Auto, COMAND® navigation, SIRIUS Satellite Radio, DVD Drive, Multi-color ambient lighting w/ Illuminated door sills, and KEYLESS GO®), Lighting Package (Active LED Headlamps and Adaptive Highbeam Assist), Appearance Package (20-Inch 10-Spoke Wheels and Illuminated Running Boards), Lane Tracking Package (Blind Spot Assist and Lane Keeping Assist), Parking Assist Package (PARKTRONIC with Active Parking Assist and Surround View Camera), Illuminated Star, Wheel Locking Bolts, Panorama Sunroof, Heated Steering Wheel, Trailer Hitch, harman/kardon® Logic 7® Surround Sound System, Power EASY-ENTRY, Power Rear Quarter Windows, and Pre-Wiring for Rear Seat Entertainment. One owner, clean CarFax report, Original MSRP $82,450. Mercedes-Benz Certified Pre-Owned Details: * Warranty Deductible: $0 * Transferable Warranty * Roadside Assistance * Limited Warranty: 12 Month/Unlimited Mile beginning after new car warranty expires or from certified purchase date * Vehicle History * Includes Trip Interruption Reimbursement and 7 days/500 miles Exchange Privilege * 165 Point InspectionCERTIFIED PRE-OWNED 2018 Mercedes-Benz GLS 450 4MATIC® - Black exterior over an Espresso Brown with Natural Grain Brown Ash Wood, Premium Package (Smartphone Integration, Apple CarPlay, Android Auto, COMAND® navigation, SIRIUS Satellite Radio, DVD Drive, Multi-color ambient lighting w/ Illuminated door sills, and KEYLESS GO®), Lighting Package (Active LED Headlamps and Adaptive Highbeam Assist), Appearance Package (20-Inch 10-Spoke Wheels and Illuminated Running Boards), Lane Tracking Package (Blind Spot Assist and Lane Keeping Assist), Parking Assist Package (PARKTRONIC with Active Parking Assist and Surround View Camera), Illuminated Star, Wheel Locking Bolts, Panorama Sunroof, Heated Steering Wheel, Trailer Hitch, harman/kardon® Logic 7® Surround Sound System, Power EASY-ENTRY, Power Rear Quarter Windows, and Pre-Wiring for Rear Seat Entertainment. One owner, clean CarFax report, Original MSRP $82,450. Whether you are in downtown Washington DC, Prince George’s County, near Fairfax, or across the northern Virginia area, you are only 15 minutes away from a Mercedes-Benz at a perfect price. We are conveniently located in beautiful Alexandria between I-95 and 395, just off of Duke St at 200 South Pickett. Here at Mercedes-Benz of Alexandria, we are enthusiasts! This is the ONLY brand we represent. The “Best or Nothing” lives here. Our dedicated staff of sales professionals and master technicians will make your purchase and ownership experience second to none. If you are new to the area, we invite you to see what separates us from our competition and we welcome your visit. Our selection of used and certified-pre owned Mercedes-Benz cars and SUVs can only be found at an authorized Mercedes-Benz dealer. Mercedes-Benz factory certified models are backed by the incredible Mercedes-Benz Unlimited Confidence CPO warranty. With over 100 certified pre-owned models in stock, we offer a terrific selection to ensure you find that perfect fit at the perfect price. So if you are dreaming of a coupe, a cabriolet, a sport sedan, an amazing AMG® or an SUV for the family, we have it. Be sure to check out our “Loaner to Owner” vehicles. We maintain a fleet of 125 new Mercedes-Benz models for our service clients to use. We turn this fleet over twice a year and these like-new vehicles are offered for sale with amazing values. Leasing is available for our “Loaner to Owners” too! If you have questions about our selection of used cars, we can help. 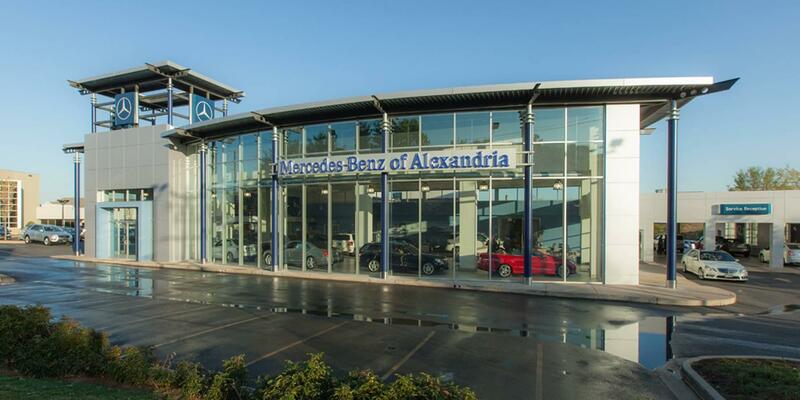 Contact Mercedes-Benz of Alexandria serving Fairfax, Prince George’s County, and Washington DC and speak with a representative today!